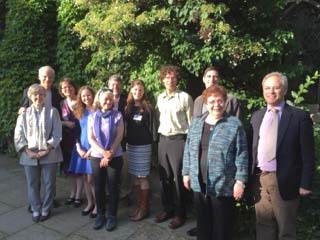 A group of participants at Ertegun House, June 2015. Day One focused on the material aspects of epistolarity and infrastructure. If you wanted to know how much it cost to receive a letter; how many postal stations were on the map of France (or England); how the intra-urban post functioned (and why messengers were called ‘poulets’); how celebrities like Voltaire became so overwhelmed by a deluge of post they had to take out adverts in newspapers advising fans and readers please not to enter into correspondence – there was much to learn and enjoy in the papers and discussion. Historian Laurence Brockliss brought real panache to a contrarian argument in focusing on a number of French provincial figures who demurred at the expense, labour and relative obscurity of letter-writing, in some instances preferring the essay and prize competition as ways of building a reputation. The cost and procedures of writing, folding, sealing and posting letters earned a delightfully anecdotal but clear procedural exposition in Jay Caplan’s paper that dovetailed nicely with Nicholas Cronk’s fascinating analysis of how Voltaire’s many thousands of letters (over 16,000) eventually became collected into a corpus posthumously shaped into one of the great correspondences of the age. 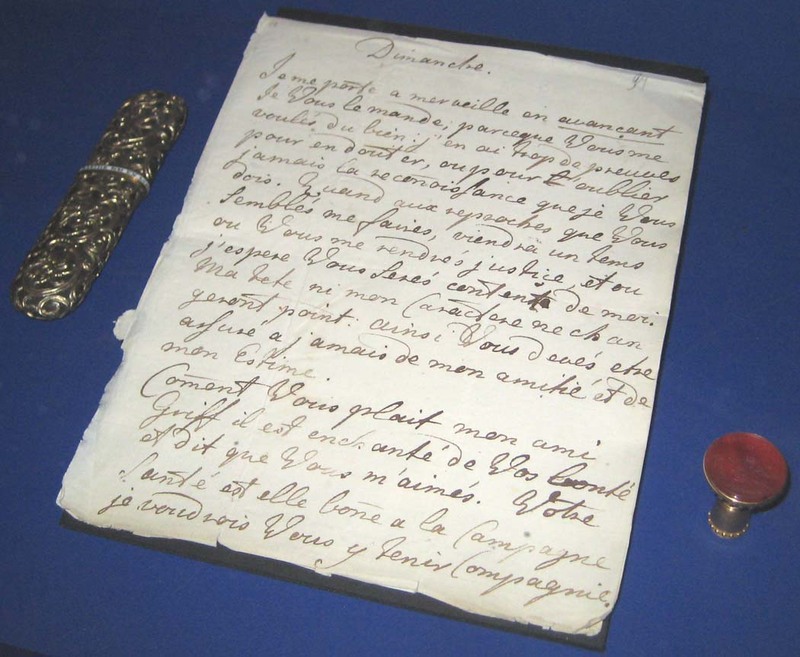 The hand of the writer could be seen from time to time in certain stunts such as the cycle of letters Voltaire originally rewrote as an epistolary fiction (Paméla – revealingly edited by Jonathan Mallinson ) that were later mistakenly edited as real letters. A letter from the Grand Duchess Ekaterina Alekseevna (the future Catherine II) to Sir Charles Hanbury-Williams (1756). That creation of a corpus was the subject of a first presentation on Catherine the Great, hugely famous and yet as a letter-writer unknown because her correspondence has yet to be fully constructed. The launch of the Digital Correspondence of Catherine the Great Pilot Project, a British Academy/Leverhulme funded pilot created at Oxford, showed how vital a part Digital Humanities can play in expanding the empire of letters – and in this case that would mean making fully available and searchable about 5,000 letters written by Catherine. The subject of how much value recipients and Catherine herself attributed to her letters as tokens of esteem and marks of favour formed the topic of Kelsey Rubin-Detlev’s paper which illuminated the connections between letter-writing and gift-giving. We enjoyed a spectacular treat thanks to the kind offices of Chris Fletcher and Mike Webb, who arranged a visit to one of the state of the art seminar rooms in the Weston Library. It was a real feast for the eye, and gratifying to see actual autograph letters of some of the writers discussed. Questions about the utility of the private/public dichotomy and continuum provided one thread linking many papers, including the detailed examination by Andrew Jainchill of a small set of letters which Voltaire and the minister d’Argenson exchanged on the subject of politics, protection and war – issues of state policy on which d’Argenson’s seemingly subversive views required the forum of private letters in order to skirt the dangers of publicity. ‘Protection’ opened up a rewarding discussion on the differences from patronage and letter-writing as a sketchbook of radical ideas. This looked ahead to the riveting discussion by Lauren Clay on the eleven chambres de commerce which, during the revolutionary period, lobbied politicians and the Estates General very hard on behalf of business by concerted campaigns of letter-writing, designed to show that their commercial interests did not pit them against the ideals of the Revolution. This stream of pragmatic correspondence seemed a world apart from the high-minded philosophical letters published in Berlin by Moses Mendelssohn and Thomas Abbt. As Avi Lifschitz showed, these letters, with a certain nod to Socratic dialogue, refashioned in letter form investigations into sometimes highly metaphysical questions of religion and ethics. Isabel Matthews-Schlinzig’s touchingly illustrated exploration of the Herder family focused not on the great philosopher himself but rather on preserved copies of letters by one of his sons – epistolary ‘home movies’ as it were, that taught us a great deal about the practice of Bildung and the construction of childhood. Madame de Sévigné was seemingly born to be a great letter-writer, and Wilda Anderson’s fascinating paper explored the discourse of race in her writings (ramifying out into examples from Racine’s tragedy) as an expression of an aristocratic ethos that carries a nearly biological imperative to write well. Clare Brant offered a marvelous reconsideration of Lady Mary Wortley Montagu’s account of her visit to the Turkish baths, a favourite text in feminist, Orientalist and post-colonial readings. Clare’s reading stripped away that layer of varnish in order to refocus on the visual clues and references contained in the text, and she showed how signals that might have looked clear to Montagu’s readers seem to have got lost in a fog of lit. crit. preoccupied with voyeurism and theories of the gaze. With a similar attentiveness to actual words and personal affinities, Pamela Clemit took us into the world of the Godwin-Shelley circle, decoding salutations, signatures, the order of letters in a sequence and, above all, the emotional expectations recipients had of letter-writers. A century or so earlier, the readers of classic and minor Restoration and eighteenth-century fictions, starting with Aphra Behn and Haywood and going on to Richardson and Fielding, would have found many letters in the stories of novels. Eve Bannet’s delightful and careful teasing out of the texture and viewpoints of narrative voices showed us how the cleverest of novelists possibly set up careless readers who might be gulled into taking the writers of these embedded letters at their own words. 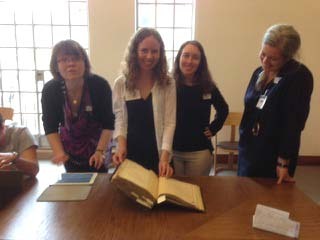 Correspondences scholars at the Weston Library, June 2015. Sociability is a key Enlightenment virtue, and on this occasion rarely felt more natural as academic events go. Scholars of literature and history shared a common approach and there was a welcome ease of exchange. Historians did close reading and literature scholars historicised and contextualised. Both methods are now second nature in both disciplines. Letter-writing seems to be a cross-section of every possible Enlightenment activity, and to crystallise the whole complex of factors that make its European manifestation so dynamic. Whether lobbying, emoting, protecting, publicising, celebrating, philosophising, retiring, ironising, commanding, educating or entertaining – nobody could really do without pen and paper in a great age of letter-writing. See also: The Letter: Purloined and Printed, Anonymous and Edited. 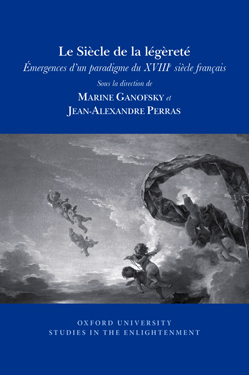 Œuvres complètes de Voltaire (Oxford, Voltaire Foundation), vol.45c (2010). Scotland has been making headlines. In the past year, it held a referendum on independence and the Scottish Nationalist Party made unprecedented gains in this year’s general election, claiming almost every constituency north of the border and becoming a vocal force in the Commons. However, Scotland has been shaking things up and radically challenging assumptions long before our century, and not only on the backbenches. 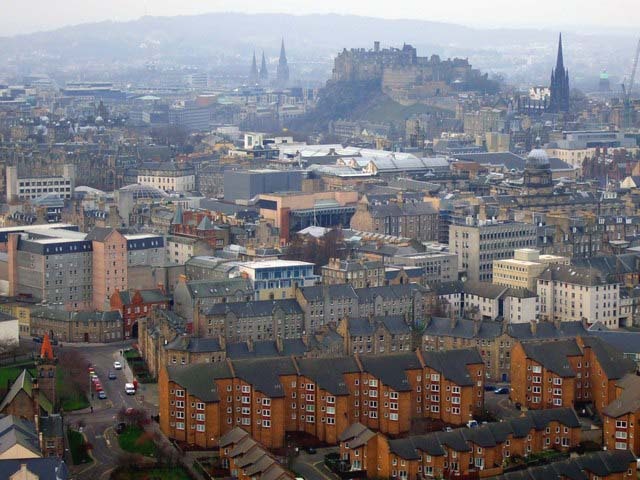 As the contributors to The Enlightenment in Scotland: national and international perspectives illustrate, Edinburgh’s affectionate nickname ‘Auld Reekie’ may mean ‘Old Smoky’, but the stars of Scotland’s intellectual firmament have always burned bright through any perceived haze. In the eighteenth century, independent thinking, rather than independence, was the battle cry. In fields as diverse as politics, philosophy, economics, history, social theory, agriculture, science and technology, Scots forged new paths, forming dense and fruitful networks of friendships, collaborations, and institutions (including the Scottish universities which are still academic heavyweights today). Thinkers and scientists challenged the status quo, paving the way for revolts of all kinds through their theories and practical inventions, from the agrarian and industrial revolutions which shaped modern society, to the American Revolution which established one of today’s dominant global powers, the United States. In this constellation of exceptional minds, two names tend to epitomize the achievements of the Scottish Enlightenment: Adam Smith and David Hume, thinkers whose writings on politics, economics, and philosophy continue to influence policymakers today. 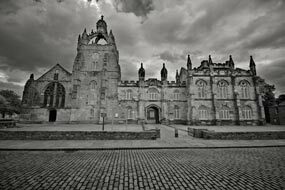 However, ‘the Enlightenment’ is a nebulous concept, an umbrella term which can sometimes mask the complexities and heterogeneity of this momentous period of global transformation, and the Scottish Enlightenment was more than two individual thinkers. Indeed, the Scottish Enlightenment is a fascinating historiographical conundrum, which raises the question of the delicate symbiotic exchange of influences between Enlightenment thinkers in other countries and thinkers in Scotland. 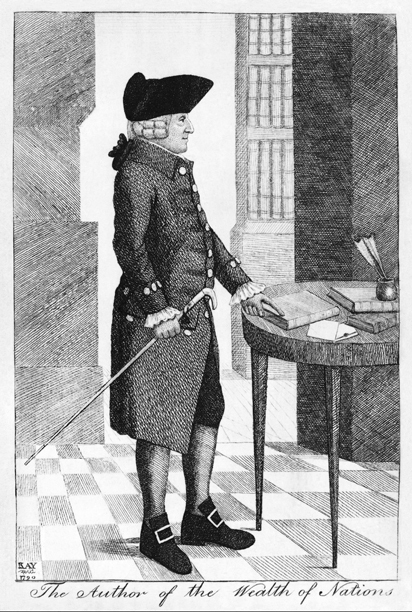 Adam Smith, 1790, engraving attributed to John Kay. This collective volume focuses on the specificity of the Enlightenment in Scotland, while also integrating it into a wider global narrative. 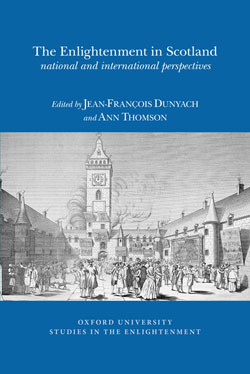 The diversity of approaches, origins, and influences reflected in the studies included – from microcosmic case studies of opposition to the Enlightenment in the Scottish counties of Ayrshire and Renfrewshire to examinations of reception of Scottish ideas and theories in France, Germany, and America – has a scope commensurate with the ambition and vision of the Scots. In Scottish politics, 2014-2015 has been a year about borders and boundaries, those of nations and of parliamentary constituencies – but the stars of Scottish Enlightenment defied borders and limitations to shed their light far beyond this island’s shores, onto the international stage.